Will I Go To Jail For Selling Marijuana? Since marijuana possession of up to an ounce was decriminalized in Massachusetts more and more people have been taking liberties with their use and distribution of the drug. There is a false sense of security that prevails among young people in particular that using and distributing marijuana is legal. People hide under the “protection” of medical marijuana cards. They openly and publicly smoke the drug. And yes, many people have created small businesses where they sell pot for profit or simply to pay for their personal supply. So it is not surprising that marijuana sales prosecutions are becoming more common these days. The defendants are mostly young kids, ages eighteen to thirty. When they get caught and face charges the first thing they ask me is “will I go to jail for selling marijuana?”. This post answers this question. People are surprised to learn that selling marijuana in Massachusetts, under the trafficking weight, is only a misdemeanor. For a first offense you can be sentenced to up to two years in jail, or by a fine of five hundred dollars. Second and subsequent offenses are punishable by at least one year and up to two and a half years in the house of correction and a fine by as much as ten thousand dollars. Most people, if properly represented will not go to jail for a first offense marijuana sale. People who have sold marijuana multiple times still might not go to jail if the quantity they sell is insignificant. Again, having an experienced, good lawyer can help to ensure your freedom. Regardless however, selling marijuana in Massachusetts is illegal. Under What Circumstances Am I Facing Jail For Marijuana Distribution? For one thing, any time you sell in a school zone you are facing jail time. Mandatory house of correction sentences come with all school zone convictions. Marijuana is no exception. Multiple charges and convictions for selling marijuana could result in incarceration. Large quantities of marijuana distribution short of trafficking might also get you jail time. In Massachusetts the threshold for trafficking marijuana is relatively high. Fifty pounds is necessary before the government can bring charges. We have represented many people who have sold just under that amount and did not go to jail. This result can vary from county to county and from judge to judge. Do not assume that distribution of pot less than fifty pounds will end up in a sentence of probation. Some judges will send you away for conviction of distributing far less. What About Possession of Marijuana Plants? This is an emerging area in Massachusetts and throughout the country. The decriminalization of marijuana and the issuance of medical marijuana licenses have emboldened many to grow their own pot. 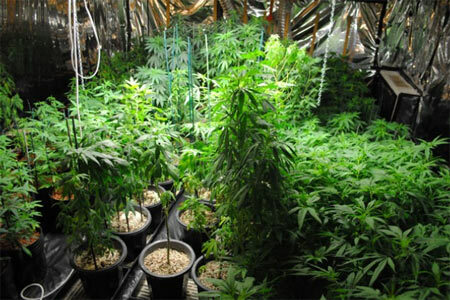 When police raid a residence and find a large number of pot plants an interesting question arises. How will the district attorney file charges? Marijuana plants will weigh much more than the amount of processed pot they yield. Yet some prosecutors use the weight of the plants to establish criminal charges. Others estimate the weight the plants will have once processed. An ever more troubling problem is how will someone be charged when selling unprocessed plants? Not all marijuana plants produce the same amount of pot. Growing outdoors yields anywhere from 3x to 10x the amount of pot per plant that the indoor plants. Prosecutors in Massachusetts are not consistent with how they charge cultivation cases. Deciding who to hire for your marijuana distribution case just might be the most important decision you ever make. We have been defending these cases successfully for nearly three decades. Call Attorney Stephen Neyman at 617-263-6800 or send us an email. We will help you.